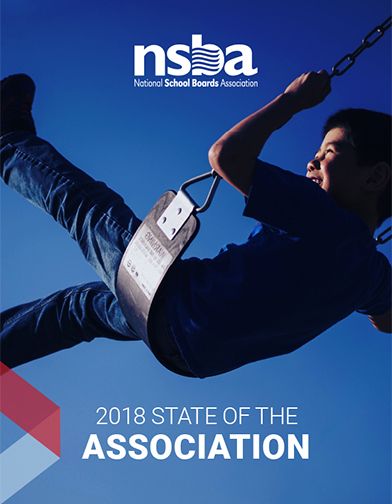 Get the latest on NSBA’s work, issues surrounding public education, as well as insights from NSBA staff. The Food and Nutrition Service of the U.S. Department of Agriculture (USDA), recently proposed rule FNS 2017-0039 which addresses some of the challenges small districts face in hiring school nutrition director candidates. The National Hispanic Council (NHC) presented this year’s Octaviano “Tony” Gonzales Abrazo Award to Cristina Jiménez, executive director and co-founder of United We Dream (UWD), the largest immigrant youth-led organization in the country. NSBA's National Black Council of School Board Members (NBC) presented its Recognizing Innovative Strategies in Equity (RISE) Award to Hillsborough County Public Schools, Tampa, Florida, during its Annual Conference in San Antonio, April 7-9. High school freshmen researched and proposed solutions to one of the biggest issues in schools today -- safety and security -- in this year’s DLR Group Student Innovation Challenge at the NSBA’s Annual Conference in San Antonio. New NSBA president Frank Pugh urged attendees at NSBA’s 78th Annual Conference in San Antonio to be strong leaders in the face of both the day to day challenges, and in the face of true tragedy and hardship. Pugh spoke at Monday’s General Session. 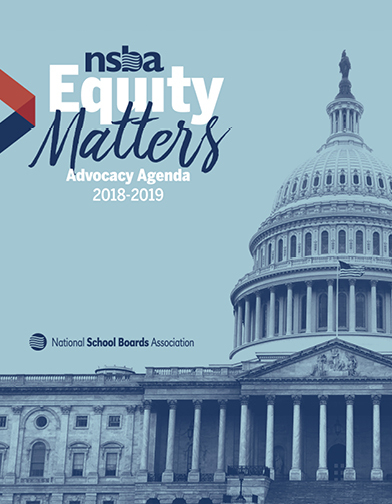 NSBAwire, an online publication of the National School Boards Association (NSBA), provides timely and relevant public education news and analysis for school board members and the education community at large. If you have any comments or suggestions, please contact NSBA’s Communications staff..